The stories and poems were written by grade seven, grade eight and grade nine students from Parkview Elementary and Junior High School in Edmonton, Alberta. A New Beginning: Find out who the stranger is? Caught in the Moment: Read this beautiful poem. Into the Night: The Bedolin Tribe of long ago. Loyalty unto Death: Poem of a battle, fighting for his ruler's kingdom. No Need: Poem of the Arabian Horse. Twilight: Story of the Middle Ages. 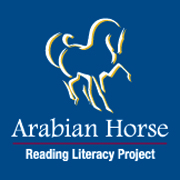 The Arabian Mare: Thoughts on the Arabian Mare. Just a Horse: Beautiful story of "Just a Horse". Knights of the Wind: A War Horse. Because My Daughter Grew Up With Horse: A Must Read!